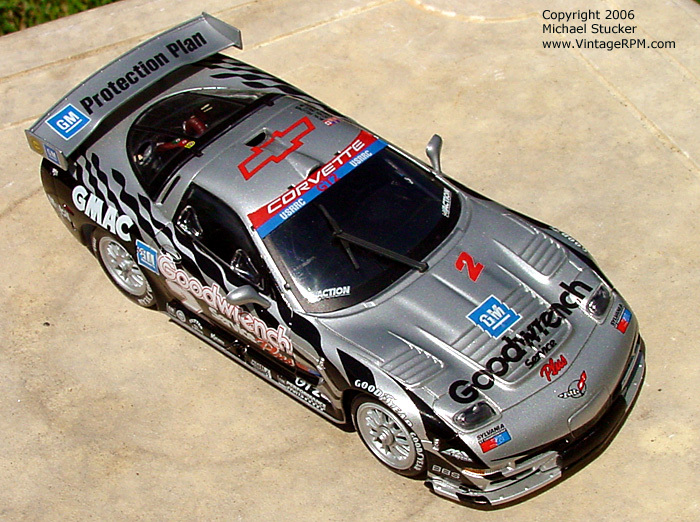 Corvette C5R that raced in the 1999 24 Hours of Daytona. 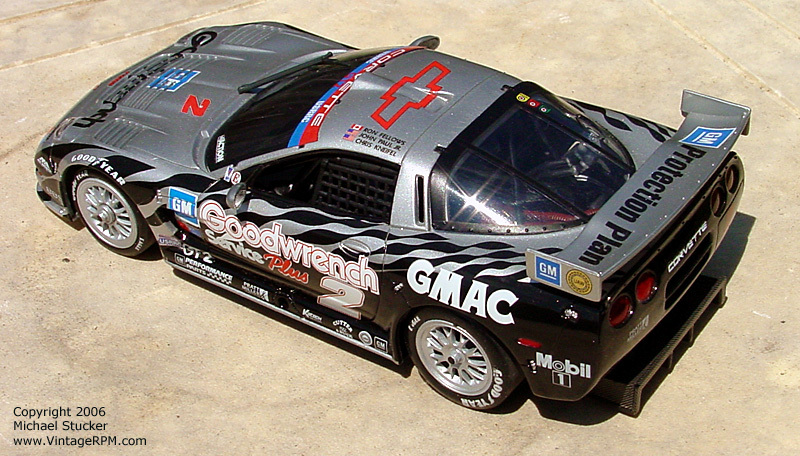 Ron Fellows, Chris Kneifel, and John Paul Jr. were the drivers. 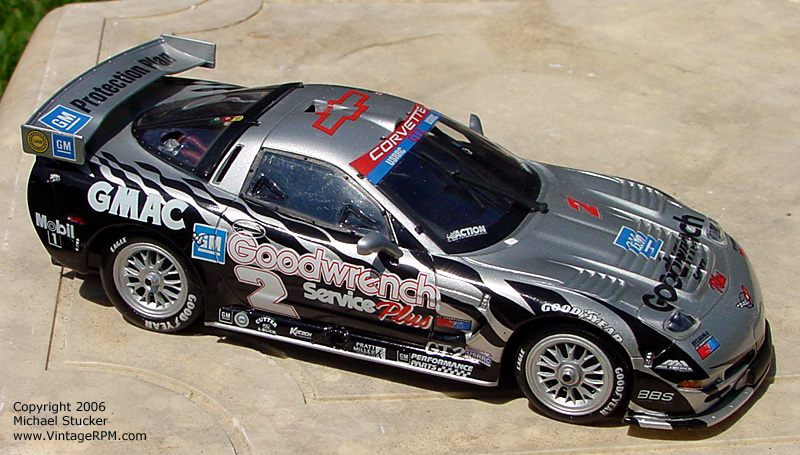 This model was built box-stock from the pre-painted Revell Pro-Finish kit. 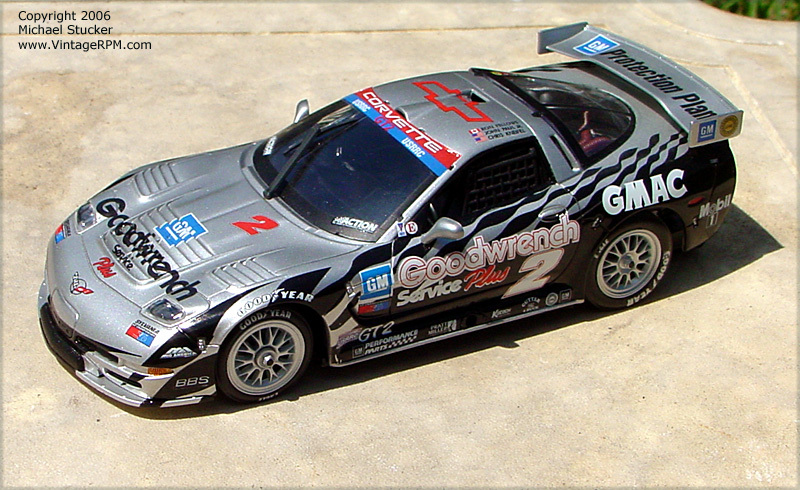 My review of this kit along with more photos, including some in-progress ones, can be found on the GPMA web site.